Did you know that 65% of procurement leaders have limited or no visibility beyond their tier 1 suppliers? OMX has always allowed our users to add as many tiers of suppliers and subcontractors as necessary - but now we're fine-tuning it even further to allow custom questions, fields, and insights. Calculate the economic impacts, regional distribution and SME content more easily and more accurately - and receive unparalleled analytics and reporting throughout your entire supply chain for a program. 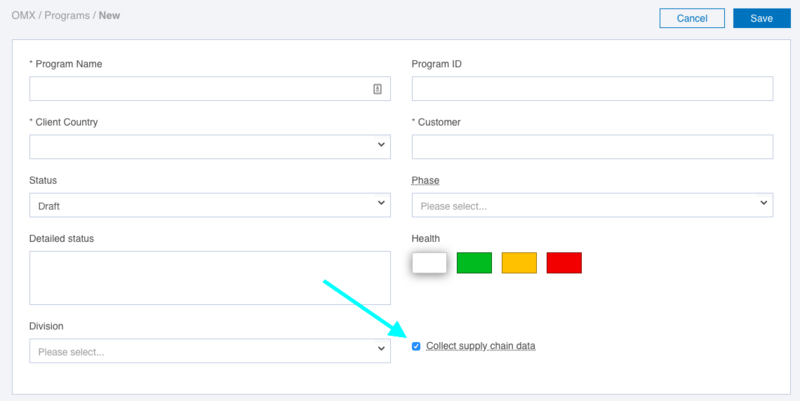 Primes and buyers can expand their program's scope and level of detail through the "Collect supply chain data" functionality in OMX. This allows you to share project details with the project's recipient so that your suppliers can fill in missing details such as domestic content value, contact information, and impacts on the recipient and subcontractors. Project transactions can be specific to the relevant recipients that you pick. You can also set up custom fields and questions to receive the maximum amount of relevant data. If you allow recipients to add subcontractors to a project, you will have a new area dedicated to subcontractor work and data. This information will also be integrated into the relevant recipient's supply chain. If you're a supplier on OMX, buyers may add you as a recipient to their projects in the platform. You may be added to general or specific projects depending on the buyer's decision. When a project is shared with you, you will be able to edit key details on that project such as the contract amount, domestic content value, direct/indirect, SME, region, milestones and notes including capabilities and the potential impact that the project will have on your company. You may also be asked questions based off the buyer's customized specifications and needs. Your participation as a supplier in filling in these project details will result in more accurate reporting to the buyer, the government, or other stakeholders and can help convince them of your contributions to and the value of the project if the program is still in the planning phase.